Marking Yom Yerushalayim with a Torah Dedication in Hebron! Home » IYIM NEWS AND EVENTS » Marking Yom Yerushalayim with a Torah Dedication in Hebron! 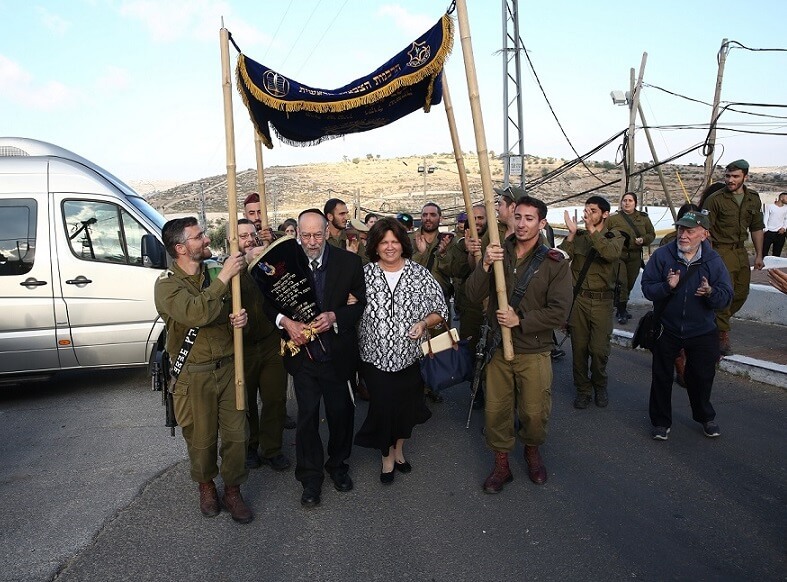 On May 13th, Yom Yerushalayim, Rabbi Chaim and Rebbetzin Gitty Bausk, together with family and friends, travelled to the Hebron Regional Command base for a very special Torah Dedication. Gitty Bausk wanted to find the most suitable way to honor her late father, who had served in the US Navy during World War II. She envisioned a memorial that would encompass all of his loves: the Torah of Israel, the Land of Israel and the army of Israel. 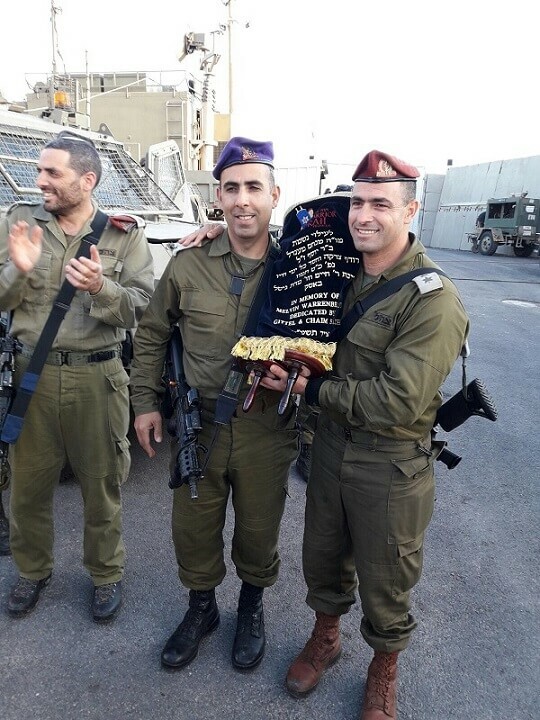 Hence, the decision to dedicate a Torah to the armed forces through the International Young Israel Movement (IYIM) – Warrior Torah program – a program dedicated to donating Sifrei Torah to the IDF and Israeli Armed Forces. The Hebron Regional Command base was chosen for the occasion as it has a meaningful story behind it. In March of 2001, a sniper terrorist attack killed 10 month old Shalhevet Pass in the Jewish neighborhood of Hebron. In response, the IDF set up a small base on the ridge that the sniper shot from. Over the years, increasing improvements were made to strengthen this base. There was only one piece of “equipment” missing for its completion. 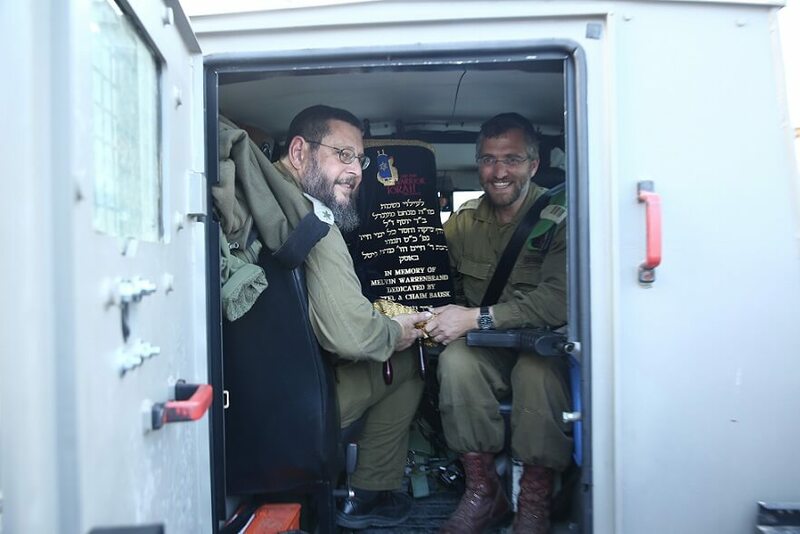 On May 13th, 2018 the final piece of equipment arrived, the base received their own Torah – the ultimate protector of the Jewish people. Upon arrival, the party was greeted by the IDF Regional Commander, the Base Commander, commanding officers and soldiers. The Regional Commander thanked the Bausk’s for facilitating the completion of this mission. 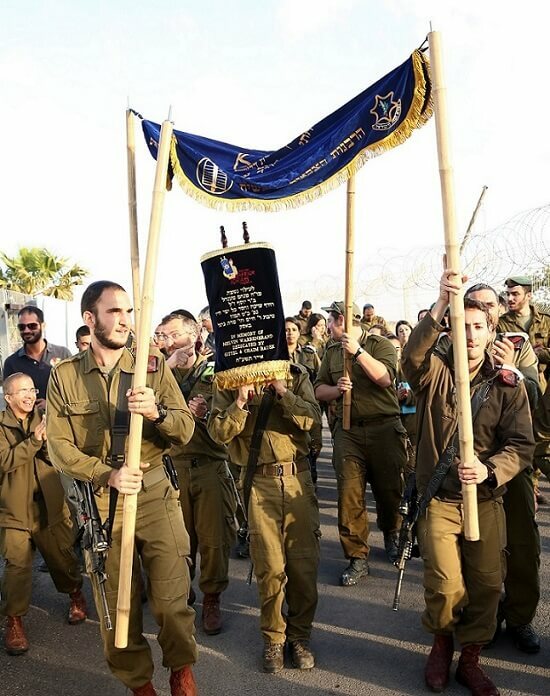 This was followed by a long procession filled with the soldiers and visitors which saw the Torah being led under the chuppah throughout the base, carried to its final home. Spontaneous dancing occured as the Torah was led to a convoy of four armored vehicles that were to take the Torah to the base on the top of the ridge. Security considerations allowed for only soldiers to continue. At the Torah’s final destination a second celebration was held. The Torah all the way from Boston had finally found a home in Hebron. The Sefer Torah dedication ceremony was facilitated by the International Young Israel Movement (IYIM) – Warrior Torah program (www.warriortorah.org ).